As the three men came to a stop, Gwennore noted that the ladies-in-waiting were curtsying, so she did, too. “At ease,” the gorgeous man in the middle said. Gwennore popped up from her curtsy, ready to defend herself. But before she could say anything, the general had enveloped the queen’s hand in his own and turned her away. objection, but the general shot her a warning look with his sharp green eyes. When she lifted her eyebrows as if to question him, he inclined his head ever so slightly. He’s asking me to trust him. It was as clear as if he had spoken. For a moment she wondered if she was experiencing a mental connec- tion with him like she had with Puff. Don’t jump to conclusions, she chided herself. She was only hoping for a connection because he was the most handsome man she’d ever met. Something flared in his eyes, a spark of gold in the em- erald green, and her knees grew weak. Good goddesses, was she about to swoon like these other silly women? She needed to be stronger than this. So General Gorgeous had no problem spinning lies or manipulating a madwoman. Gwennore snorted. But since she was in danger of being imprisoned and even exe- cuted, she was not in any position to reject his solution. Even so, she wondered if she could actually trust him. As the general of the Norveshki army, wouldn’t he see her as an enemy? Gwennore’s heart lurched into a fast pace. He knew her name? And what she’d done? Puff must have told him everything that had happened. That meant General Gor- geous could hear dragon voices, too. It made sense, she figured, since his job would require him to communicate with dragons. But did that mean he had ordered the first dragon to kidnap Eviana? Or perhaps, he had ordered Puff to try to stop the kidnapping. Which side was he on? Gwennore exhaled with relief. She wasn’t going to the dungeon. And as the official nanny, she could remain close to Eviana. “Yes, my lord.” Karlan motioned for his men to follow him back to the main gatehouse. With Gwennore’s superior hearing, she’d heard the general’s whisper. He had to be on her side. For one thing, he kept referring to her as a lady. The status of noble- woman would shield her from any physical abuse during her stay here in Draven Castle. Puff and General Gorgeous. She could only hope they would both prove to be trustworthy and honorable. “Yes, yes, of course, my lord general.” Olenka nodded, then curtsied again. Gwennore inclined her head, understanding he in- tended to have a talk with her. That was fine. She needed to talk to him, too. Another child? How many had the queen lost? “I will protect her with my life,” Gwennore told her, then fol- lowed Lady Olenka toward the northwestern tower. As she neared the general’s two companions, she noted there was a slight difference in their uniforms. One had three brass stars embedded in his leather breastplate, while the other had two. Did that mean they were officers? The general had four stars on his breastplate. Kerrelyn Sparks is no stranger to the New York Times bestseller list, as her massive fan base couldn’t seem to get enough of her Love at Stake series. 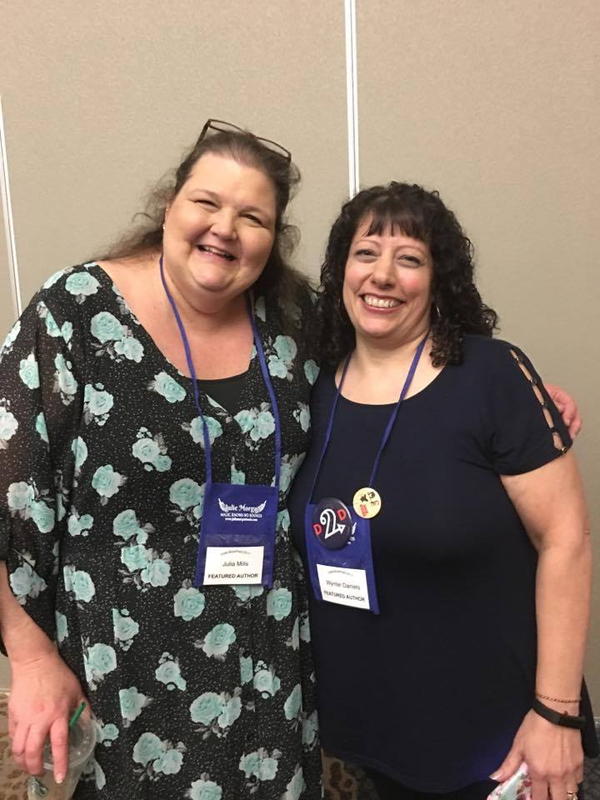 Sparks then introduced her extraordinary fantasy romance series, The Embraced, with How to Tame a Beast in Seven Days and So I Married a Sorcerer. Set in a medieval mythical world, the series follows a special group of people with powers born when the two moons of the world form an eclipse. 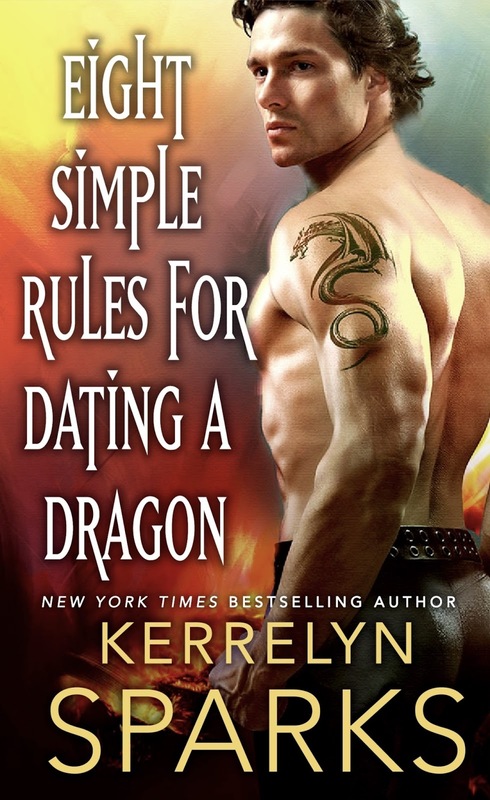 Now comes the captivating third installment, EIGHT SIMPLE RULES FOR DATING A DRAGON (St. Martin’s Paperbacks; March 27, 2018), where readers meet Gwennore, our fierce and powerful new heroine. Silas has no way of saving the royal family he’s served for years. But when a beautiful elf comes bursting into his world, Silas is awakened to desire in a way he’s never felt before. But can he trust a sworn enemy? Filled with romance, adventure, and a vividly imagined new world, EIGHT SIMPLE RULES FOR DATING A DRAGON is a fantasy in the vein of Game of Thrones with all the fun of The Princess Bride. 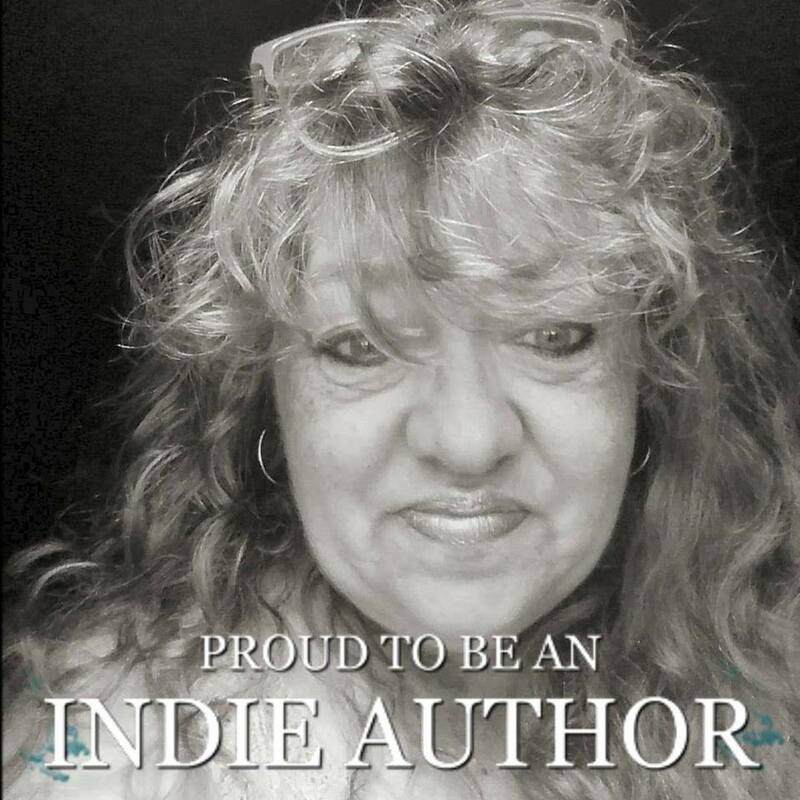 Audiences will become enthralled with Gwennore in a world where passion, fantasy, and royal intrigue collide. Return to the most exciting, magical and romantic series to come along in years in the stunning world of the Embraced! "A deeply satisfying, delightfully swoon-inducing close...full of vulnerability and tenderness." "Mixing paranormal romance with humor, Sparks clearly has a style all her own, one that readers love." "Sparks skillfully infuses her writing with a deliciously sharp wit."